As the dust settles on another successful school year we should all pause to reflect on what happened during the past 180 days. We have ridden on a roller coaster of emotions and at times we certainly had to look ourselves in the mirror and ask ourselves what we are made of. Through the high points and the low points of the year one thing stayed constant and that was pride in our school and our community. What other local District was making national headlines for their academic, athletic, and fine art achievements while also leading a national discussion about fiscal problem solving during challenging times? All of this said, we MUST stay strong as a community and recognize that while we will face even more adversity next year, we are equipped to handle it. We will need to make changes to how we run our school, what programs we offer, and how we deliver services and some of those decisions will not be popular (even in my own house) but they will need to be made nonetheless. It will be very important for you as parents to stay connected to the school through this blog, our new e-newsletter, Twitter, or open meetings that we will hold so that you can have the most up-to-date and factual information. We will need to support each other so that our community continues to be the desireable place to live that it has become. I am going to take a couple of weeks off from posting and tweeting but that does not mean that I will not be at work. Feel free to e-mail or call if you have questions or comments, and I would like to sincerely thank you for your continued support. Please accept my best wishes for a safe and happy Summer! We are six days away from high school graduation and as I reflected over the past school year it is difficult not to notice that we just went through something pretty special. Pick a topic and we handled it with grace and professionalism. Our students were able to shine in every situation they were placed into and our staff did some unprecedented things to help us keep as many opportunities for students as possible. I think it would be nearly impossible to agree with every decision we made this year because we had to make so many of them, but I am grateful for the respect everyone has shown during the many discussions that we have had. Trust is a very powerful thing, and I am equally thankful that we have mutual trust and open communication. We will face many other significant challenges in the days and months ahead and it is very important for all of us to stay focused on what is most important; the students. This week will be a blur. We have assemblies, graduation rehearsal, the athletics banquet, all kinds of paperwork, finals, and more paperwork. Getting into classrooms will also be fun and I can't wait to visit. If you have ever wondered why some of our buses have so few students on them, the answer is that the State Education Department has required us to "provide a seat" for each child whether they ride the school bus or not. With the current condition of the economy in New York State, the State Education released a memo which can be found here: http://www.nyssba.org/index.php?src=news&submenu=on_board&srctype=detail&category=Advocacy%20Alert&refno=1758 that clarifies their new stance on pupil transportation. In summary, it indicates that schools should be doing everything in their power to maximize the number of students on school buses as well as efficiency of school bus routes. 1. Parents will need to return the letter being sent home if they would like transportation to be provided for their children. 2. Bus stops (especially in housing developments and other areas of lighter traffic flow) will be spread out over slightly longer distances. 3. Private and parochial students will ride to school with West Genesee students and will then shuttle to the various private and parochial schools in the area. 4. Students who have requested a bus for them but then do not ride for ten consecutive days without a medical or other approved reason will be dropped from the route. It will take most of the summer to organize bus routes using this new methodology but the result will be more students on school buses and more efficient bus routing. Your only homework as a parent is to make sure that you RETURN the transportation request letter AS SOON AS POSSIBLE but no later than June 27th. If you have questions please contact Jerry Williams, our Director of Transportation at 315-487-4576 jwilliams@westgenesee.org or Paul Pelton, our Assistant Superintendent for Management Services at 315-487-4563 ppelton@westgenesee.org. This past weekend was quite busy. First Rachel, Ben, Sam, and I participated in the first and hopefully annual Rock/Hill Triathlon. 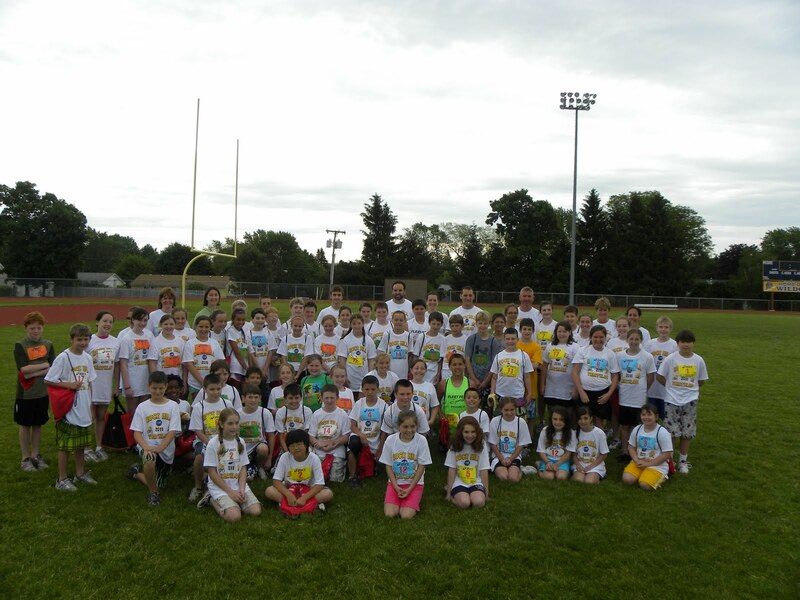 This was a mini-triathlon created by the physical education teachers at both Split Rock and East Hill for fifth-grade students to promote wellness. The first leg was to do eight "laps" in the pool then bike three miles and then finish with a half mile run. Needless to say, I probably finished last in every category but it was great to see so many students and staff participating. The hope was (and now is) to expand this to other buildings and grade levels and also to involve parents in the activities as well. I very much appreciate all of the time that the adults put into this event, and I am already looking forward to next year. We then went downtown and enjoyed the Taste of Syracuse. We really enjoy the many downtown events that are held each year and I truly believe that a vibrant downtown is one of the keys to a vibrant city and surrounding areas. There were big crowds and parking was a challenge, but it was nice to see thousands of people out and about considering it feels like we have just been through eight months of winter. I also enjoy good food and music and there were plenty of both to go around! This week will be very busy as well. We have the high school senior awards night, the last concert for my middle-schooler who will be in the high school next year, and the state semi-finals for girls lacrosse to name a very few of the things that I will be in attendance at during the week. We are also finishing up classes at the high school, reconfiguring Stonehedge Elementary, and continuing to work on our budget plans for next year. I hope to be able to write again during the week so that I can better keep track and keep you updated on all that is happening this week.